If you’re in a group the best option is an apartment with 3 or more bedrooms. 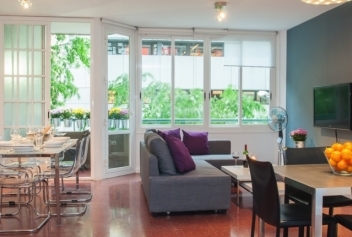 We offer a wide selection of apartments with 3, 4 or more bedrooms located throughout the city of Barcelona. Our apartments are equipped with kitchens and bathrooms so you have everything you need and can enjoy your stay to the fullest. You’ll find a complete list of apartments to choose from below. 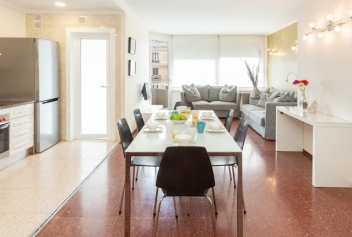 Modern 110m2 apartment, located near Avenida Parallel in a new building that can accommodate up to 10 people.